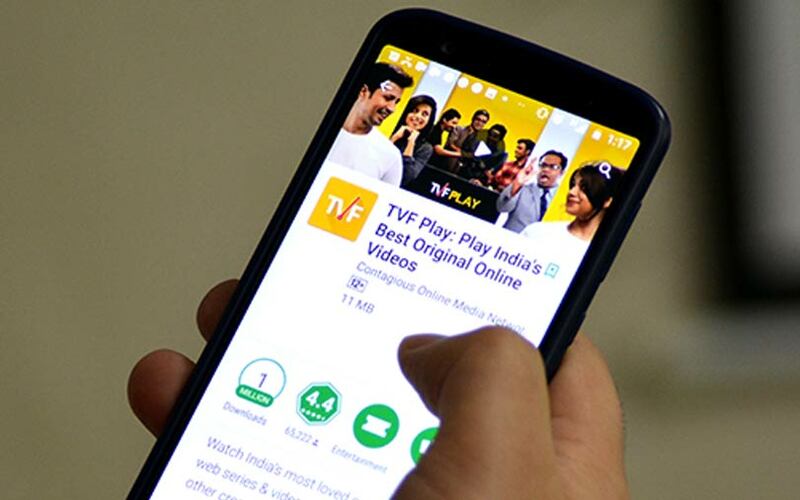 The Viral Fever (TVF), an over-the-top (OTT) platform which creates original video content, has raised an additional $6 million (around Rs 41 crore at current exchange rates) from existing investor Tiger Global, two persons with direct knowledge of the matter told TechCircle. TVF has thus far raised more than $20 million in external funding. This includes a $4.97 million investment from Tiger Global in July last year according to VCCEdge. TechCircle estimates indicate that this money was raised at a post-money valuation of around Rs 216 crore ($31 million at current exchange rates). Separate email queries sent to TVF and Tiger Global did not elicit responses till the time of publishing this report. Founded in 2010 by Arunabh Kumar and incorporated in August 2015, TVF is backed by a clutch of well-known individual investors that include Flipkart co-founder Binny Bansal, Ola co-founders Bhavish Aggarwal and Ankit Bhati, Freecharge founder Kunal Shah and Toppr founder Zishaan Hayath, among others. It started out as a YouTube channel that produced premium content targeted at a young demographic that did not largely consume television content. TVF produced avariety of content on range of topics that included Indian politics, movies, lifestyle, and emerging social concepts. The brand’s USP was to lace its content with humour and satire. Some of its early offerings, The Permanent Roommates and TVF Pitchers, garnered significant viewership and popularity. TVF gradually started categorising its content under different channels, each with a different USP and demographic positioning in terms of content. These include TVF Originals, TVF Qtiyapa, The Screen Patti, Girliyapa, The Timeliners, TVF Machi and NBA Hangout. Between its different YouTube channels, it boasts an estimated collective subscriber base of close to 10 million with The Viral Fever (3.95 million), The Timeliners (2.24 million), The Screen Patti (1.85 million) and Girliyapa (1.64 million), accounting for the lion’s share. Besides YouTube, its website and Android & iOS apps also serve as digital OTT content distribution platforms. TVF generates its revenues through marketing and advertising streams associated with its content viewership. It is yet to charge audiences for its content. The company had a tumultuous 2017 after founder and CEO Kumar stepped down as chief executive officer following accusations of sexual harassment by a former employee. He was replaced by TVF’s chief operating officer Dhawal Gusain. According VCCEdge, TVF clocked a significant increase in operational revenues at Rs 213.30 crore in the financial year 2016-17, up from Rs 45.70 crore the previous year. Gross expenditure quadrupled to Rs 646. 90 crore, up from Rs 155.40 crore the previous fiscal, with content production costs and employee expenses accounting for half the amount. Consequently, net losses widened to Rs 41.8 crore in 2016-17, up from Rs 10.40 crore in 2015-16. TVF operates in a space which includes players such as All India Bakchod and East India Comedy, which also mesh humour with real-world issues. As a standalone platform, TVF is now facing formidable competition from deep-pocketed players such as Amazon Prime Video and Netflix. These platforms are producing original content and looking to step up their local play, in addition to offering a large library of movies and TV shows. Other prominent players in the space include Voot, a joint venture between Network18 Media & Investments Ltd and US peer Viacom Inc; SonyLIV from Japan’s Sony Corp; Zee Entertainment’s OZee and production house Balaji’s ALTBalaji. Recently, TIL (Times Internet Ltd), the digital business arm of BCCL, announced its foray into the video streaming space through the acquisition of South Korea-based video platform MX Player for Rs 1,000 crore ($145 million at current exchange rates),. Tiger Global is one of the most active venture capital investors in Indian companies with around 50 firms in its portfolio. It has backed unicorns including e-commerce major Flipkart, classifieds platform Quikr and ride-sharing firms Ola and Uber. It has drastically slowed its pace of investments over the past couple of years as part of efforts recoup at least a part of the $2.5 billion the firm has invested over a decade. Over the past year, Tiger Global has offloaded a significant chunk of its stake in Flipkart to Japanese conglomerate SoftBank and US retail giant Walmart, which in May agreed to acquire the Indian e-tailer for $16 billion. Its other notable investments include e-tailer ShopClues, hostel chain Zostel, online grocery delivery Grofers, logistics startup Delhivery, music app Saavn, news app InShorts, online tutoring platform Vedantu, and deals app Little.